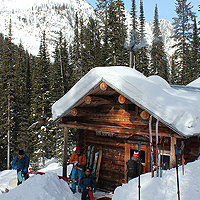 Unless your next backcountry ski trip includes winter camping in a tent, chances are good you’ll need some kind of a “hard” roof over your head. 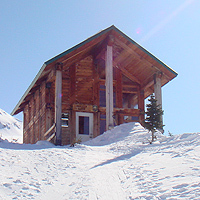 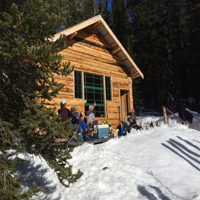 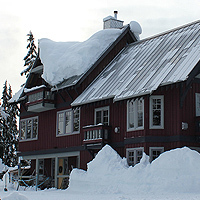 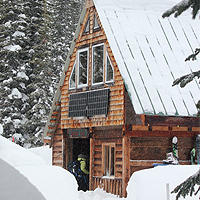 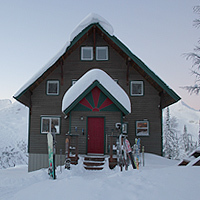 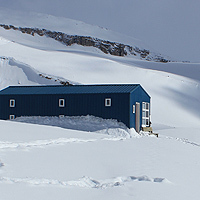 In this area of our review section, we share info and impressions on various backcountry lodges or huts (ski or heli-in), as well as some hotel/motel/spa-type places you may want to visit as part of your adventure. 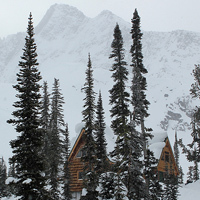 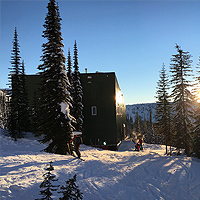 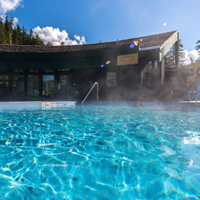 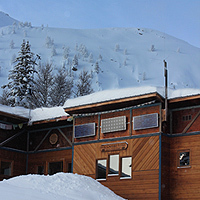 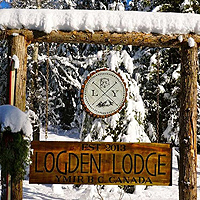 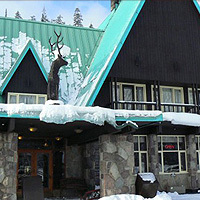 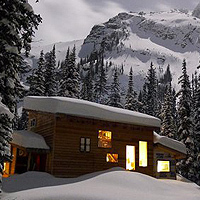 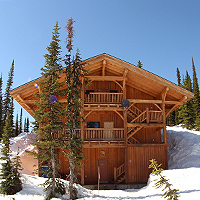 For backcountry lodge reviews have a look below and for other front country lodges, hotels and hot springs jump down the page to here. 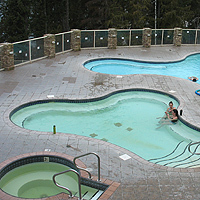 Read the full review and view the video here.